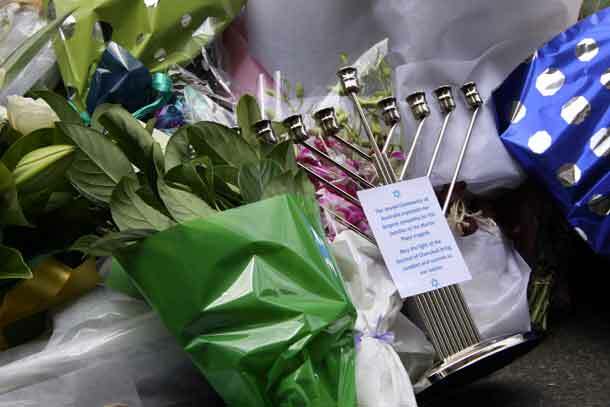 A Sydney rabbi has placed a Menorah among the wreaths laid in Martin Place today. 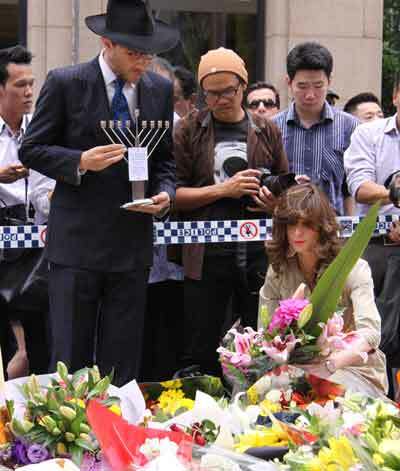 Central Synagogue’s Rabbi Levi Wolff and his wife Chani made the trip from Bondi to the city and set his Menorah down among the large number of wreaths laid by th public. They were swamped by media eager to understand the meaning of the Chanukeah and Rabbi Wolff explained t them the meaning of Chanukah and how this evening marks the beginning of the eight-day Festival of Lights. Very nice gesture indeed. 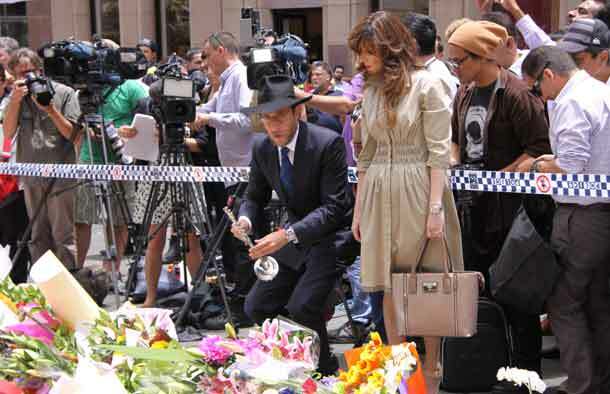 We all mourn the two innocent victims of this Islamic jihad. The infidels (non-believers) among the People of the Book (Jews and Christians) and the pagans shall burn forever in the fire of Hell. They are the vilest of creatures.